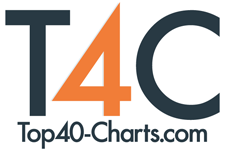 New York, NY (Top40 Charts) "HUMANITALES" is the third studio album by Italian goth/industrial band A TEAR BEYOND, released on 5 may 2018 by House of Ashes Prod. "HUMANITALES" tells about Humans in its most profound, uncontrollable plan.It tends to tell stories of comforts and discomforts of individuals who have no power over them. Each story lives of its beginning and its epilogue, both contaminated from within (our nature) and from outside (society). "HUMANITALES" unravels among the labyrinths of the natural human emotionality and its inexorable social mutation. "Angels Out of Grace" is the first single taken from "HUMANITALES". The Videoclip for this song was directed, filmed and edited by Michele Piazza, Andrea Bianchin & Uber Mancin. The Lead Actress is Anna Dovigo. Produced by A Tear Beyond and Hypnoise Recording Studio. Recorded and Mixed by Phil at Hypnoise Recording Studio. Mastered by Giovanni Versari at "La Maestà" mastering studio. Printed and distributed by House of Ashes Prod. "Damned Paradise" lyrics by Andrea "Jar" Giaretta and Claude A. "HUMANITALES" is Vendra's last Album as A Tear Beyond drummer. The new drummer is Skano, former drummer of Absenthia (IT). A TEAR BEYOND was founded in 2008 in Vicenza, Italy. The band comes from the fusion of six elements with more than 15 years of musical experience.In 2012 came out their first studio album "BEYOND" followed by a strong live activity.In 2015 the band presents the second studio album "MAZE OF ANTIPODES" by the label "House of Ashes" (Milan - IT).The album was supported by releasing an official videoclip "Behind the Curtains I'm Dying" and a sequence of live gigs opening for international bands like Moonspell, Fleshgod Apocalypse, Folkstone, Isole, Septicflesh, Dark Lunacy, Jack Frost and Extrema.In the spring of 2018 the band released their third studio album "HUMANITALES" and the official videoclip of the single "Angels out of Grace".The band repertoire blend industral electro sounds with gothic metal arrangements and melodies.Key point of the band is the live theatricality when the audience can get involved in a true 360° show by means of scene costumes, Venetian masks, performers and intermission shows.